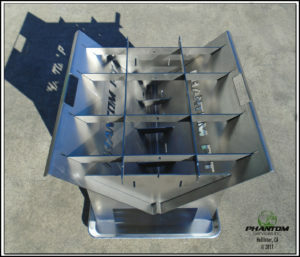 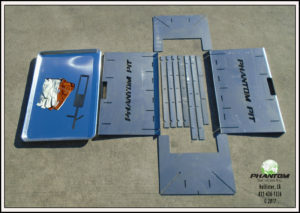 Phantom Pit – Flat Fire Pit & Camp Stove. 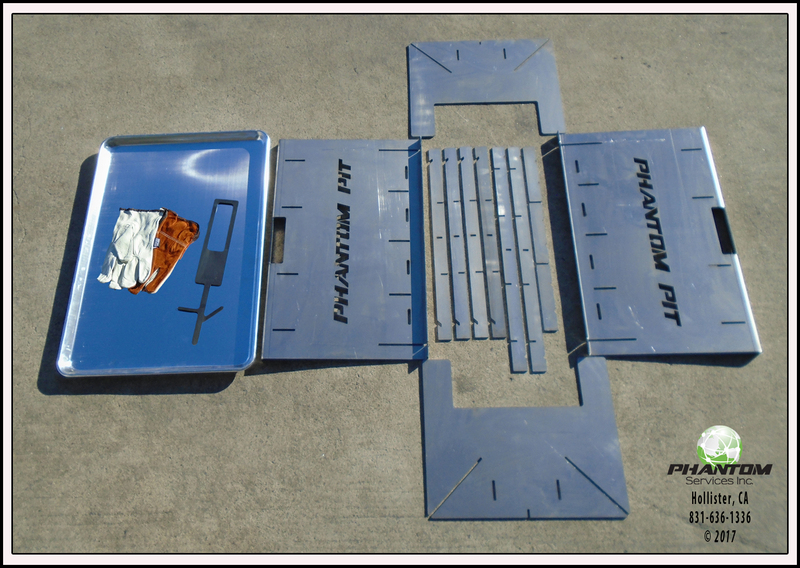 The Phantom Pit fire pit can be configured several ways for outdoor cooking and it stacks flat for easy storage and transport. All parts are made from heavy duty 10 gauge steel (.135” thick) that will stand up to any fire and give you years of service. 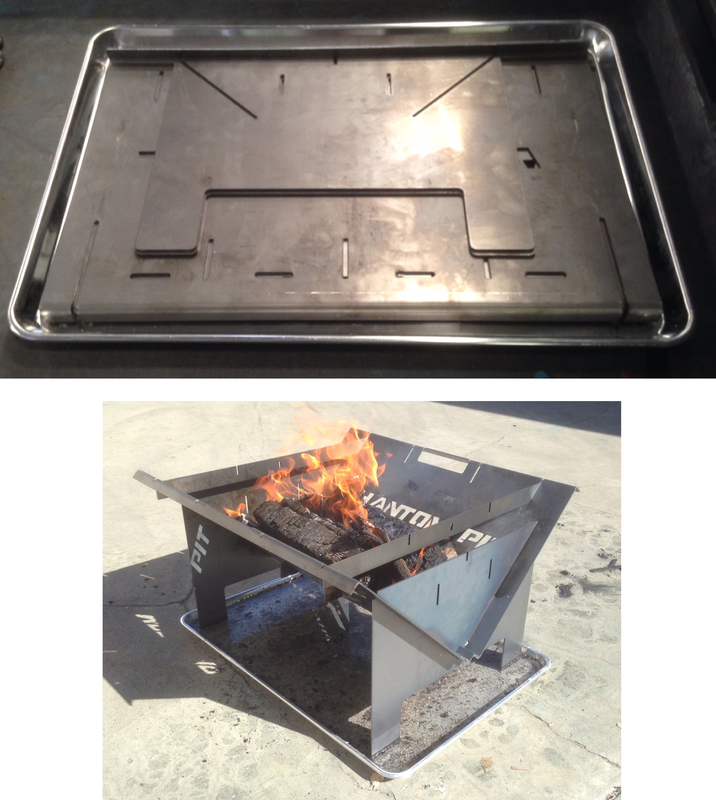 We use our laser cutter to fabricate all parts for a perfect fit and no tools are required for assembly! 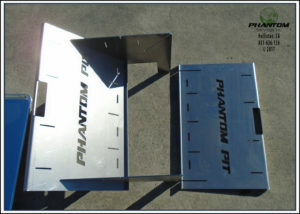 Just slide parts together and you’re ready to go. The two long side panels have 90 degree bends on top and bottom for extreme rigidity that prevents the steel from warping during long hot fires.